PoP should be replaced with clay as the material for making idols. Dolls made from wood, clay and cloth; it would help in keeping the environment clean. 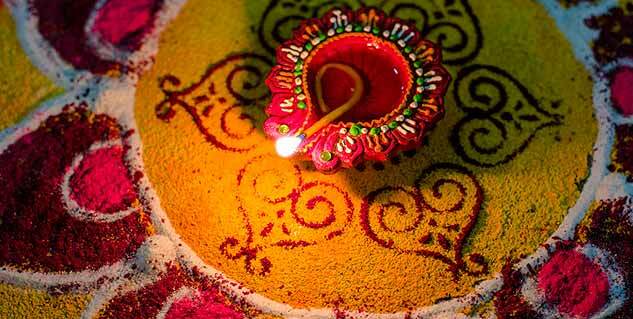 You can replace rangoli colors with pulse, rice flour and leaves. The most adverse impact of Navratri celebration on the natural environment is the idols made from plaster of Paris (PoP) into the water bodies. Along with that, the polythene bags containing offerings of devotees also disturb the natural environment of the rivers, lakes and ponds in which they are thrown. Clay idols – Replace PoP with clay as the material for making idols. If instead of these, natural clay idols are used, it would help to keep the rivers and lakes clean, and avoid health risks during Navratri. Clay does not have any chemical impurities as PoP has. Eco-friendly dolls – The tradition of displaying a doll or “Golu” during Navratri also leads to environment troubles as people have started using PoP dolls. If instead they chose dolls made from wood, clay and cloth; it would help in keeping the environment clean. 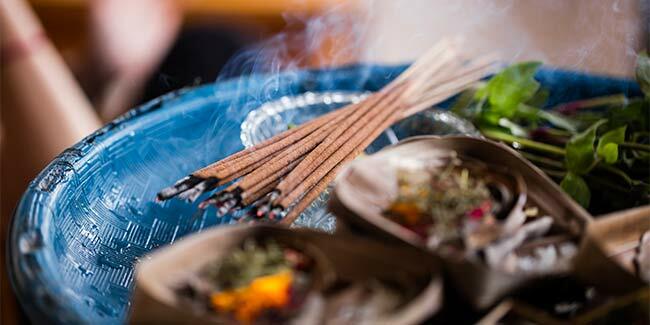 Incense sticks – The incense stick that is increasingly used for religious and meditation purposes have been found to be a health hazard due to air pollution. For performing Puja, the hand rolled incense sticks can be used as they do not pose these environmental threats. Water pollution control – People should be encouraged to immerse only the organic idols and other stuff into the water bodies. People using PoP idol should not be allowed to immerse their idols in the natural water body. They should stick to symbolic immersion and donate their idol for recycling. Eco-friendly rangoli – If you want to make a rangoli as a part of your Navratri celebrations, make sure that the chemical colours are not used for them. You can replace them with pulse, rice flour and leaves. Decorative articles – Decorative articles such as those made out of thermocol are in high demand during Navratri. These pose a great health threat as well as that to the environment. Choose decorative articles that are made from natural products such as palm leaves. Your mandaps, idol, and sundry other decorations can be made out of palm leaves and natural colours made from turmeric, rice flour, pulse and similar items. Tree plantation drive – In some places, Navratri and green enthusiasts have started propagating the idea of green festival celebration. A part of this is tree plantation drive on the occasion of Navratri.